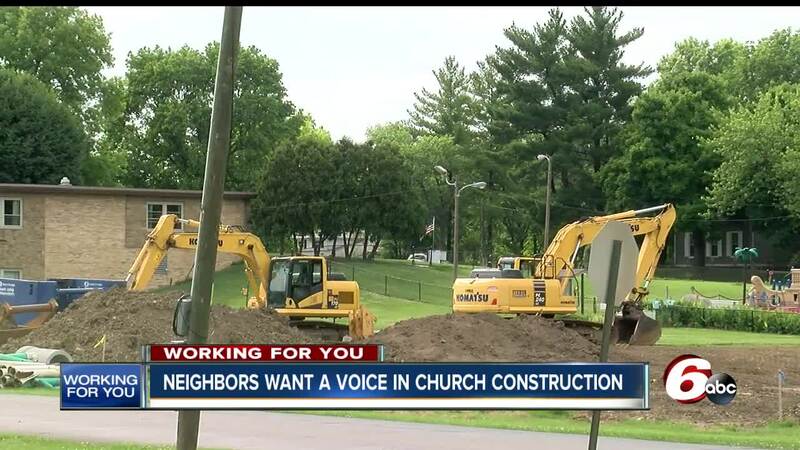 INDIANAPOLIS -- After a Perry Township pastor tried to build an apartment complex on his church's property, a group of people who live nearby met Monday night to figure out their options. Indianapolis City-County Councilman John Wessler said he's having a hard time getting answers from the Department of Metropolitan Development, which is tasked with deciding if the One Christian Church at 2901 E. Banta Road will need to be rezoned or granted special permission to build a 23-unit apartment complex. Wessler said he represents members of the community that don't want the complex built. "It's not ideal that's it's right across from our house right now, and we don't know much about what's going on," said Brittany Grimm, who lives in Perry Township. Wessler went to a meeting with some representatives from a couple of neighborhoods that border the church property. "As far as I'm concerned, he went backdoor on the folks in the neighborhood," Wessler said. The group was trying to figure out what they could do to have their voices heard on the possible apartment construction. A spokesperson from the DMD said the church couldn't build without applying for rezoning or a variance. The digging for sewer and water installation has already started. No rezoning was needed for those permits. Pastor Jeff Stratton said he has a meeting with the DMD this week. If he's told he needs to rezone, he'll move forward with that process, he said. "Go ask any developer, any place, the only reason they have a public meeting is because DMD or the city tells them they've got to have that meeting -- we were not told that we were told it's OK to progress," Stratton said. Stratton said he wants Wessler to attend Wednesday's meeting with the DMD. If Stratton is allowed to move ahead with construction without rezoning, the community members plan an appeal.